The L.O.L. Surprise! range has taken the world by storm since its release in 2016. This innovative and imaginative toy burst onto toy shelves across the world, won Toy of the Year Award from the Toy Association and was the number one toy of 2017 in the USA, UK and Canada. L.O.L. stands for Little Outrageous Littlies, an apt description for the little dolls hidden inside the ball shaped containers in which they come. Your child will love unwrapping the seven different layers of the wrapping to discover clothes, accessories and shoes to dress their new L.O.L. doll in. The new L.O.L. Surprise! 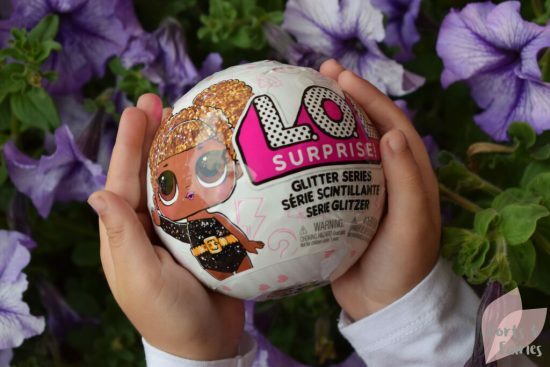 Glitter series includes cute little dolls with beautiful glittery hair, as well as glittery clothes, shoes and a bottle to make your little ones’ swoon. Your kids are guaranteed to be excited to unwrap the L.O.L. Surprise! to discover whose inside. 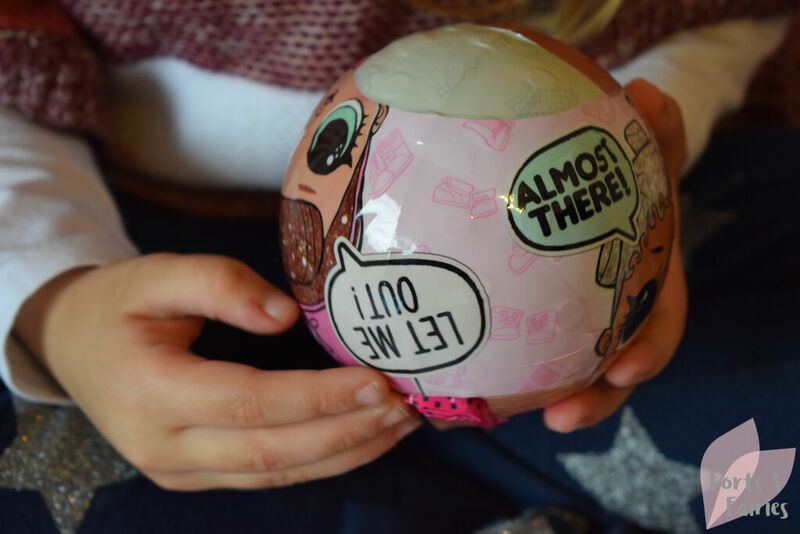 It’s lots of fun to peel off layer after layer to find stickers, the doll’s clothes, accessories and shoes hidden inside and then finally see which collectible doll you have. I love that the L.O.L. Surprise! dolls are small, it makes them perfect to tuck into a bag for an outing and they really do look cute displayed on a shelf or unit. Our L.O.L. Surprise! Glitter doll has a sweet skirt and glitter top, both easy for Amy to pop on her. She also has tiny glittery shoes and a pair of glasses, both of which are easy to put on her too. You can fill her bottle easily with water (create a bit of a suction with the water and it will fill up), and then give her a drink. 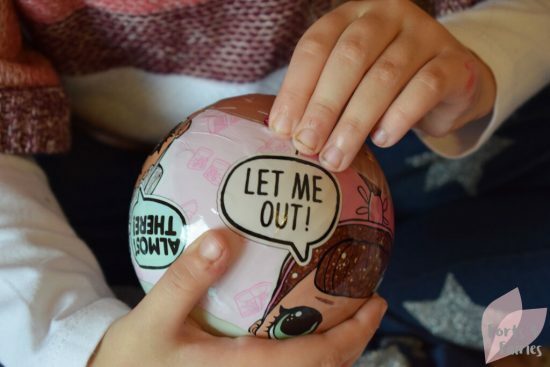 This clever littlie can then cry when you gently squeeze her head! The L.O.L. Surprise! doll can also be bathed. You will then soon discover if her colour changes, and that she can cry and even tinkle too. The doll is articulated so she can move her head, legs and arms. She can sit in the bottom half of the ball shaped container which becomes a playset, it even has a space to slot her bottle into. 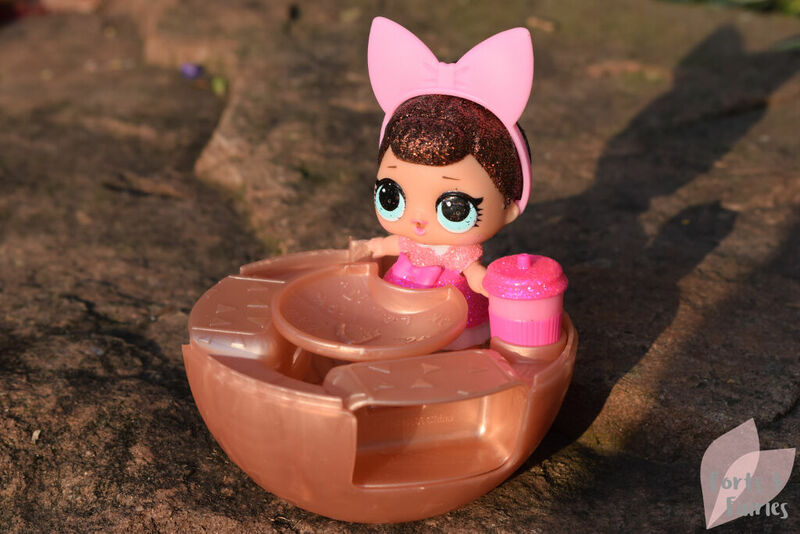 She can also stand on the top half of the container, making it perfect for display, and this can also be used as a bath playset for her. 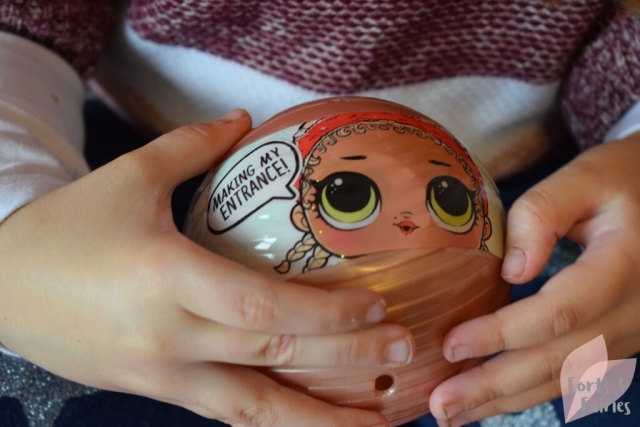 The ball can also be closed and has a handle, making it easy to carry to a friend’s house for an afternoon of fun. The L.O.L. Surprise! 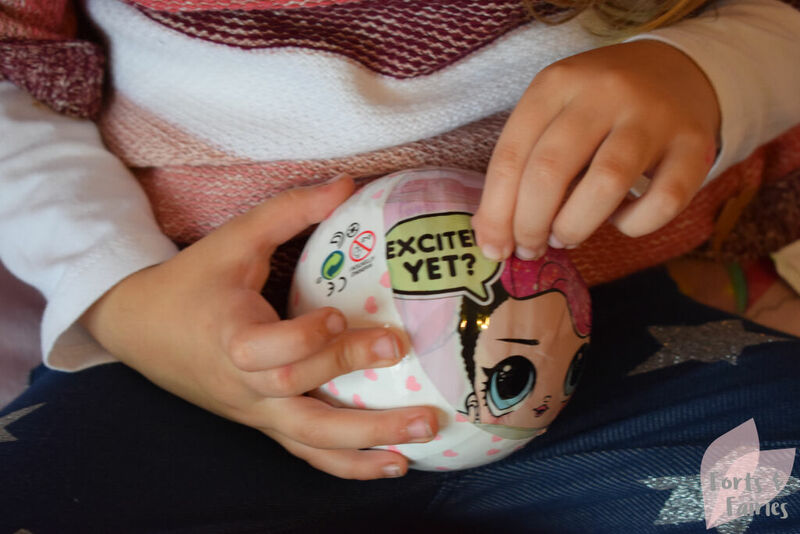 Glitter Series is available from toy stores and online retailers for a recommended retail price of R249.99 each. There are 12 dolls to collect in this series, which is recommended for girls from the age of four. Each L.O.L. Surprise! Glitter includes a secret message sticker, collectible sticker sheet, water bottle charm, shoes, outfit, accessory, and L.O.L. Surprise! Glitter Series doll with water surprise. The three stages of L.O.L. Surprise!, and the excitement of discovering which L.O.L. Surprise! Glitter doll you have. 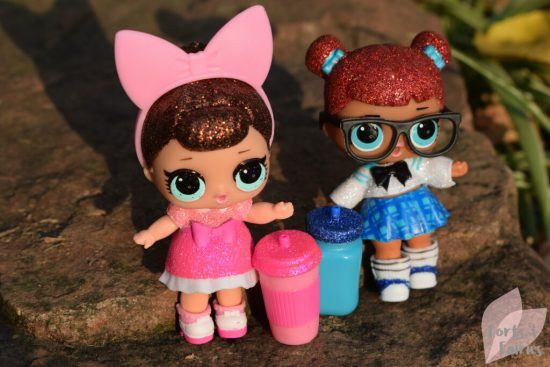 Thanks to Prima Toys for bringing a little bit of glitter and a whole lot of L.O.L. love into our home. They really are cute! And I love how each doll is so different too. They are very cute! And I love the look on Amy’s face when she opens them 🙂 So adorable! She was so excited she couldn’t bear to look! Haha, too funny.